At the 2015 ISAMETD Winter Bazaar. Photo by Pauline Shypula. Jeana began belly dancing while a teenager in Los Angeles, and she started to study tribal style belly dance while living in the Bay Area to attend UC Berkeley. It wasn’t until moving to Bloomington, Indiana for her PhD that she truly realized the value of tribal dancing, though, when it allowed her to synchronize and dance with other dancers regardless of how much or how little they practiced together. 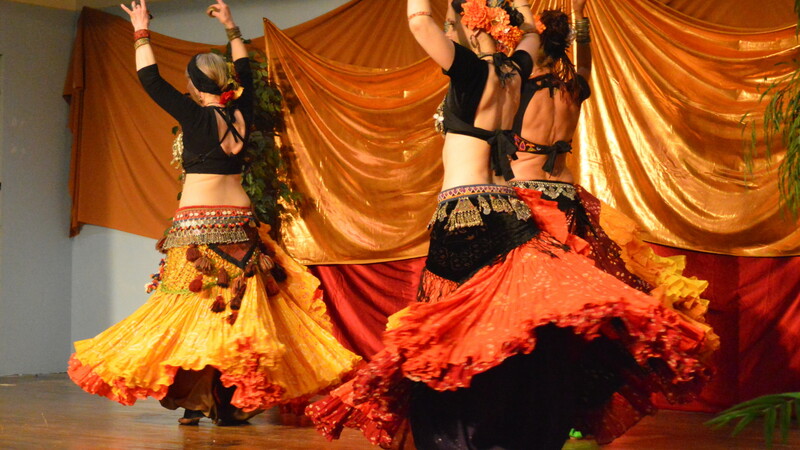 After completing General Skills and Teacher Training with Fat Chance Belly Dance® (the originators of ATS®), Jeana attained Sister Studio status, meaning you can drop into a class with Jeana and receive the same instruction in ATS® that you would at any other certified studio worldwide. Jeana has belly danced with the troupe Different Drummer Belly Dancers and as part of numerous artistic collaborations. She performs hoopdance and fire dancing, and has studied flamenco, modern dance, and African dance. The qualities that Jeana strives to bring to her ATS® dancing are clarity, precision, and grace. She also seeks to impart these qualities to her troupemates and students, emphasizing that ATS® is a communal art form and so it’s in everyone’s best interests to give clear cues and to support your dance partners to the best of your ability. If you’re a team player, ATS® might be just the thing for you! Jeana is currently the only certified ATS® teacher in the Indianapolis area. 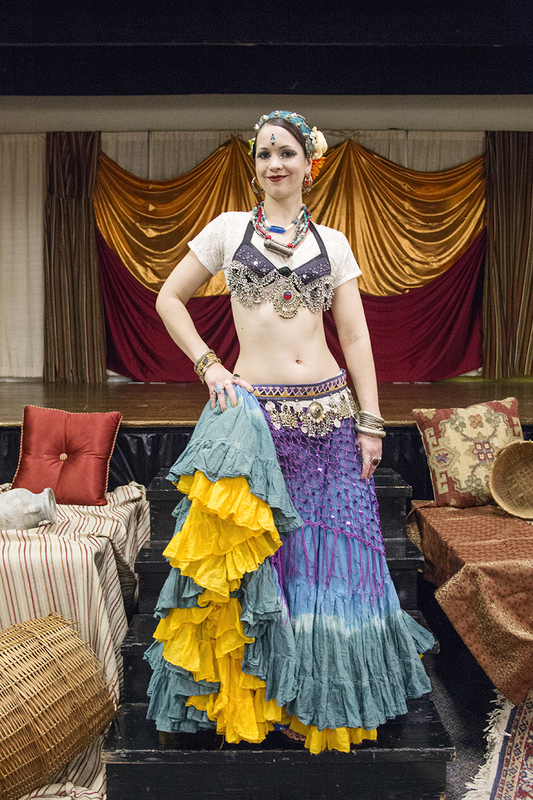 If you want to learn tribal style belly dance, check out her class listings here. If you want to know more about Jeana’s solo dancing, scholarship, and writing, click here to get to her personal website.